As agents working for different organizations, players scour their world seeking a key piece of secret information. Agents must trade and sell secrets in order to learn the location of the coveted information and grab it before it falls into the wrong hands! 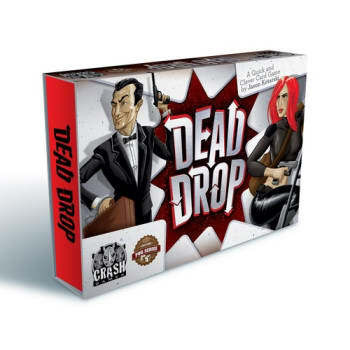 Dead Drop is a game that involves elements of memory, deduction, and crafty maneuvering. In Dead Drop, 2-4 players are competing to be the first player to correctly guess the secret Drop Card by having two cards in their hand that add up to be the Secret Drop Card.